We are back to school and back in balance & it's time to shed some pounds! Your game has now been finalized. Congratulations to the winners! You earned a 65.6% return on your money simply by investing in your own health. Don’t you wish all of your investments paid out at that rate of return? - Most Liked Player: Tina Marie S.
- Most Generous Liker: Tina Marie S.
- Most Liked Comment: "Today I will remember that sugar is not my friend. It causes all kinds of health issues and I do not need that bag of peanut M&M's to feel happy!" by Jennifer E.
Bart a. , Tina Marie S. and Carol J. like this comment. I actually weigh less! I had surgery yesterday so I'm swollen and they gave me a ton of steroids! I actually weigh 5 pounds more than I did the day before last :( oh well still won the bet and I'll get the off plus the other 5 I have as an ultimate goal. :) overall very pleased with my weight thanks so much Teresa!!!! Big hug!!!! Tina Marie S. likes this comment. The game has ended, congratulations to everybody, you know you are all winners! I’m so proud of everyone and all of your hard work this past month! 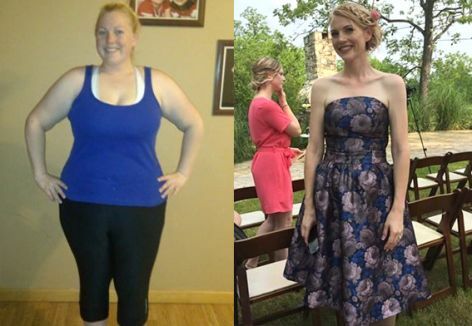 It makes me so happy to see of the transformations, personal insights, and healthy changes you all have made. I trust that you will all continue your journey for better health and more happiness with enthusiasm and dedication! Keep up the good work! Make sure to follow me on Facebook and register for my newsletter if you don’t want to miss out on the next round of the games. Details coming soon! Until then, I wish you all an abundance of health and happiness! Dawn and Carol J. like this comment. same here Teresa. I was actually thinking of maybe doing a transformer game. Thanks! Tina and Bart — send me your email addresses. My contact at DB can get you set up on a new game! Tina — a transformer sounds awesome! I’m not sure this credit will work there, I’m pretty sure it’s a single game, but you should still totally do it! Well I got on the scale this morning and I am .8lbs away. I plan on going to the gym during lunch and then hitting the treadmill tonight. Hopefully that does the trick. Dawn and Teresa Marie like this comment. weigh in success!!! so excited!!! Dawn , Carol J. and Teresa Marie like this comment. I knew you would, congrats! I made it too, took an extra day to erase some bad behavior last weekend, so whew. Oh, sigh...the last day. I want to use a :) because it's a fun and exciting day! But part of me wants to use a :( because I always miss the group when we are on break. I’m inspired, impressed & in awe with all of your continued effort to become better versions of yourselves! I continued to be honored to be a part of this journey! Of course I want you to win the $$, but it’s more important to me that you leave a game with a sense of satisfaction & a smile on your face. Did you do something you didn’t think you could? Did you get into a smaller size that you’ve been chasing for months or years? It can even be something as simple as finding a new healthy snack that will keep you away from the office cookie tray. Today’s Question ==> What single success will be your takeaway from this game? No matter how small, celebrate it and keep working towards you goal! Kacey R. , Dawn and Tina Marie S. like this comment. I'm definitely more confident that i can achieve a healthier me now. Also, I'm more excited about NSV than the scale. I guess that's a mindset change, which is amazing! I even decided to do a half marathon this spring! It will take dedication, but I know I can do it! Thanks for all your motivational posts Teresa Marie!! You make it fun!! Thank you Tina!! I'm so happy that I was able to be a part of your weight loss journey. I'm always here so if you need something let me know! Good luck with your half marathon too! You've got this!!! Teresa Marie, will you be hosting another game soon? You stay so engaged with the players, and not all hosts do that! Thank you! Tina Marie S. , Carol J. and Teresa Marie like this comment. Hey Teresa! I don't have an exact date figured out, but I'm sure I will be soon! Do you get my newsletters? I'll be announcing the next Dietbet in my newsletter and on social media! Get ready for the final weigh in! Once the game ends tonight at midnight PST, you have until 11:59PM PST on Oct 19 to submit your final weight. If you're a winner, you'll be asked to submit photos and will get a new weigh-in word when you visit the weigh-in screens. Well isn’t this crazy? It’s day 27 – it seems like we just started last week? Photo Challenge Winner – Bart and his hiking success! Today’s Question: What is your plan for the last few days of this challenge and will you be cashing in? If your goal weight for this challenge is feeling far off - don’t kill yourself to get there. But don’t throw in the towel either, because it’s more important you keep your eye on the long-term prize of a lifetime of better health and more happiness! Tomorrow we’ll talk about what’s next for all of us.. Together, we CAN and we ARE doing this! Trying to stay on plan and save my treats for later in the week.. it's actually one of my goals for this whole challenge... at the beginning, i would allow a splurge each day, then every few days, now i'm trying to fine tune it and push splurging to once per week. i can still have it, but i can plan better for it too! I like the adjustment Tina, and that you've slowly tapered down the splurging. It's easy to think that going cold turkey on something is going to get you results quickly, but in reality it rarely lasts. Whereas your approach is sustainable! Keep it up!! It’s another day of football, friends and family! Today, my challenge to you is to choose which treats are important to you, and swap out the others with healthy alternatives. This challenge should be fun and get you thinking outside of the box! What do you have planned today? Let us know in the comments below! i made spicy roasted cauliflower bites with a peanut dipping sauce to cure that craving for hot wings. Yum!